We are generally familiar with the "nearside" of the moon as it is seen from the earth to the entire world. Or should we say we say we are accustomed to seeing the rather clearer, flat and crater less surface of the moon. 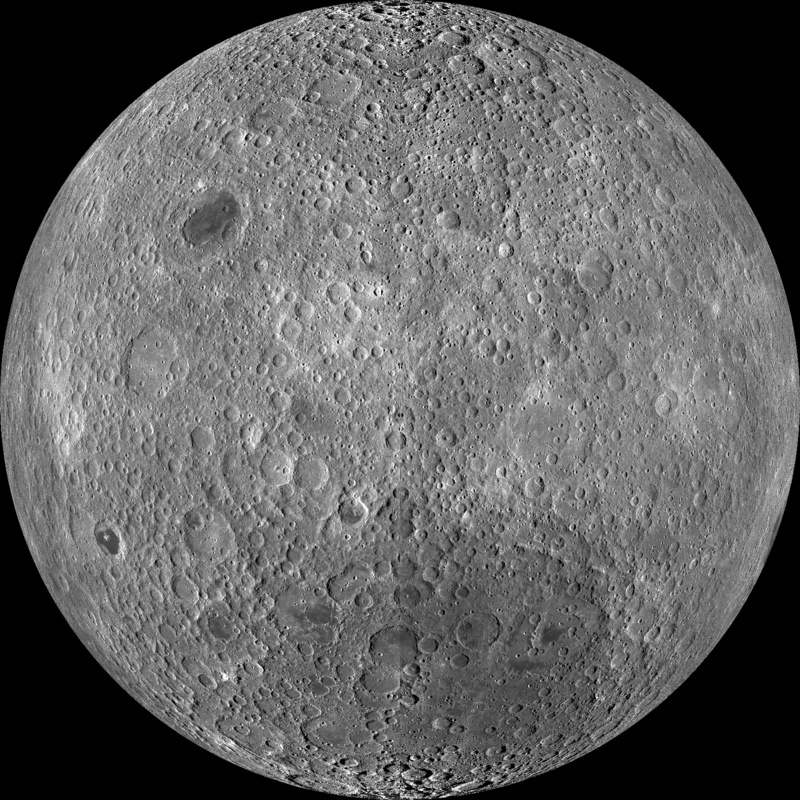 But the far-side of the moon, which is not visible from earth, is much more cratered, rough and battered as seen above. The above amazing and "different" or should I say unfamiliar moon face has been shot from the Lunar Reconnaissance Orbiter's wide angle camera. Part of a global mosaic of over 15,000 images acquired between November 2009 and February 2011, the highest resolution version shows features at a scale of 100 meters per pixel. The NASA is of the view that the reason behind the rather rough surface of the moon is attributed to its thicker crust, making it harder for molten material from the interior to flow to the surface and form the smooth maria. This is indeed a treasured capture of the unfamiliar face of the moon, we are otherwise so familiar of seeing every night.